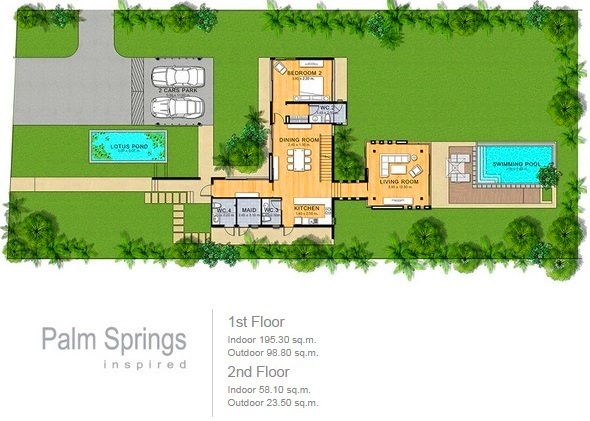 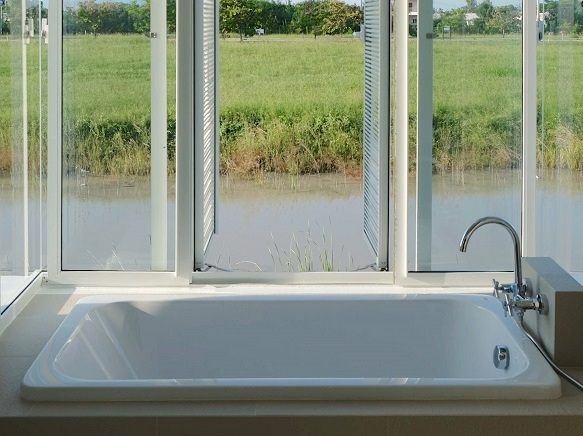 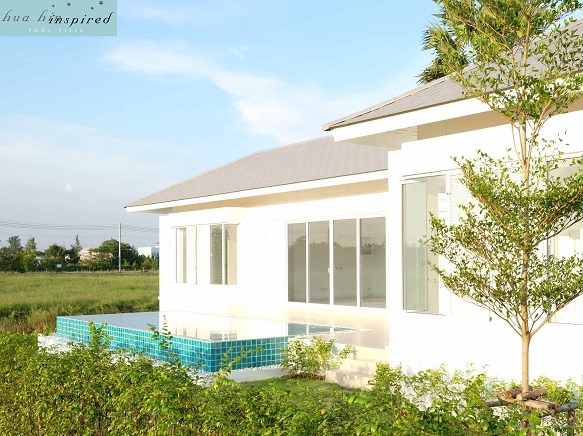 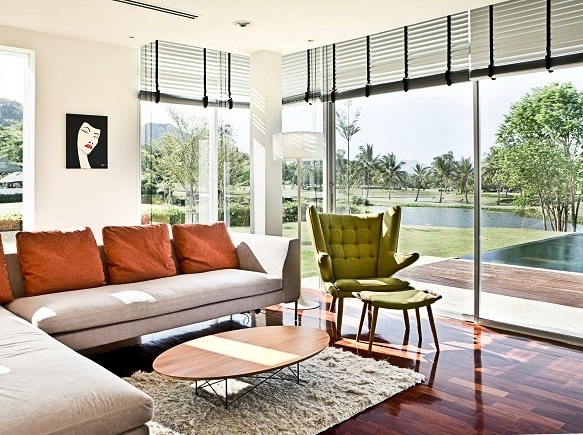 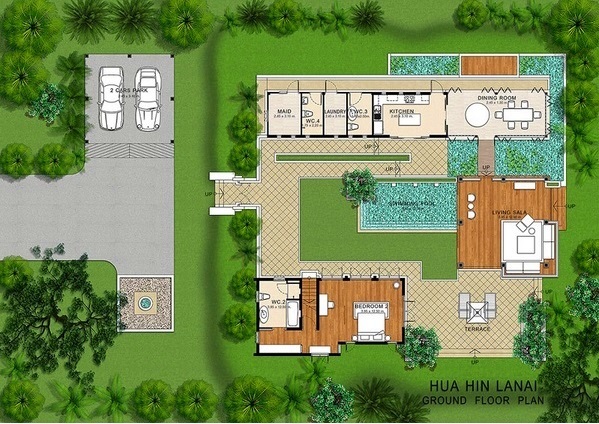 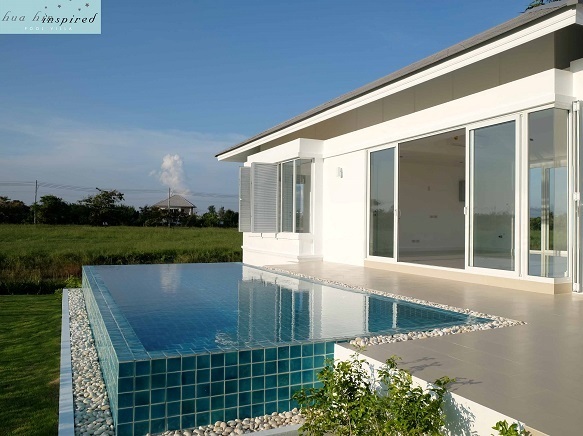 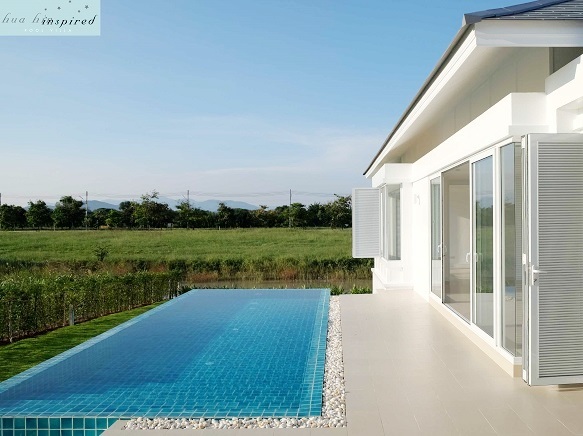 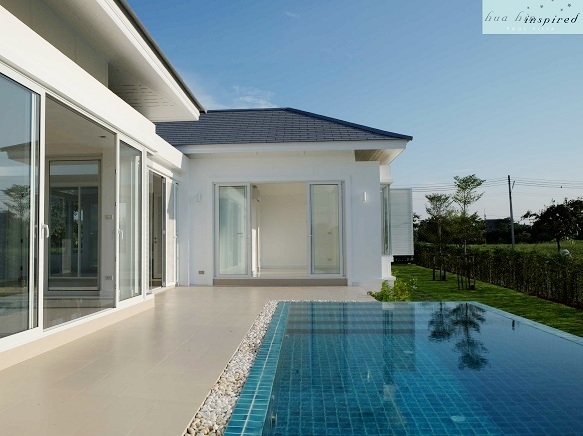 Palm Hills Golf Course & Residence, luxury villas on the perimiter of one of Hua Hin's finest Golf Courses. 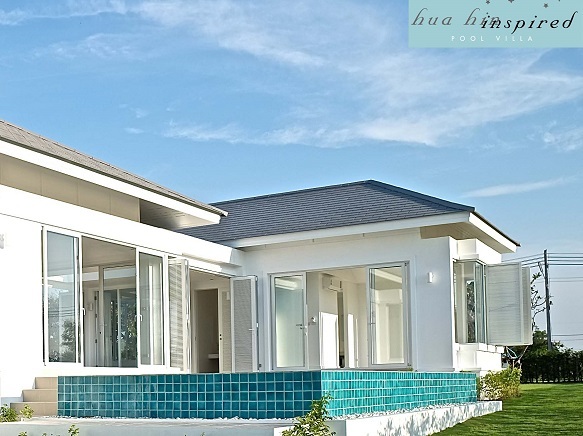 With a choice of 5 different Villa styles available, modern designed architecture that fit perfectly into the lush green, tropical surroundings of the Golf Course. 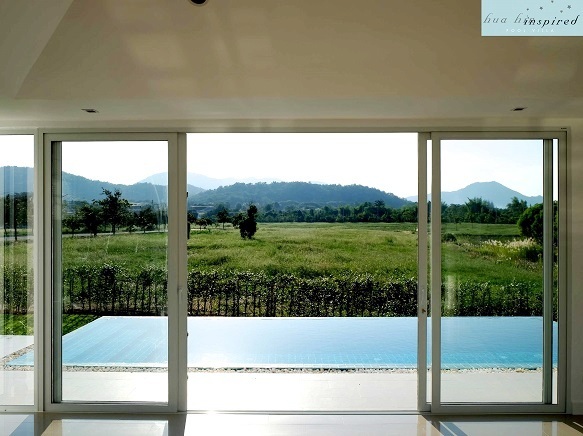 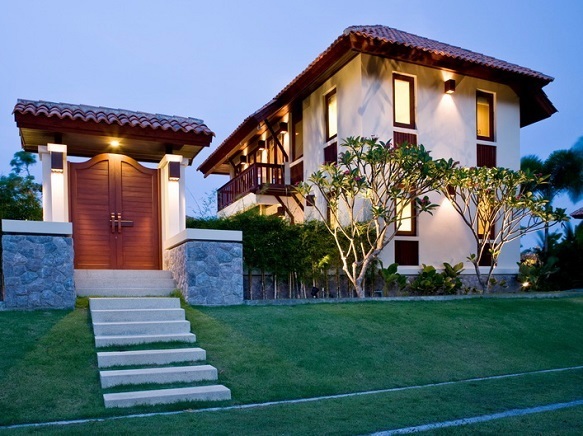 Alternatively we can offer a design and build service, we have various land plots available around the course, why not buy a plot and we can put you in touch with a reputable and quality construction company to design and build your own custom built villa of your dreams. 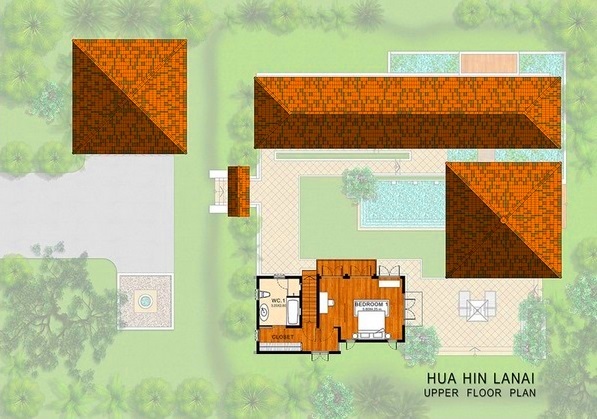 Hua Hin Inspired Villa, A truly unique architectural masterpiece that beautifully blends nature with imagination, great care in designing and planning to ensure that every single house is unobstructed from the sea and hillside vistas while still enjoying maximum privacy. 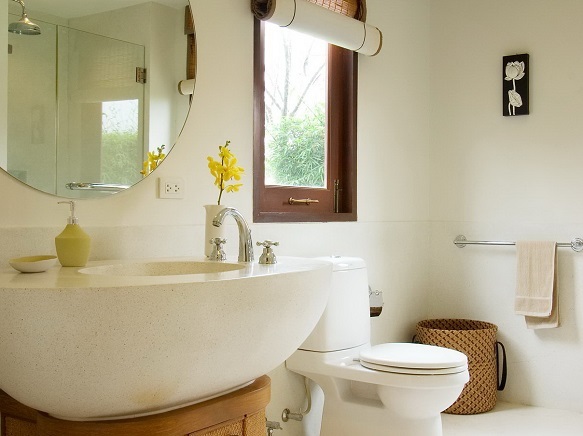 Break out of your old bed and bath habits with our spacious, airy design. 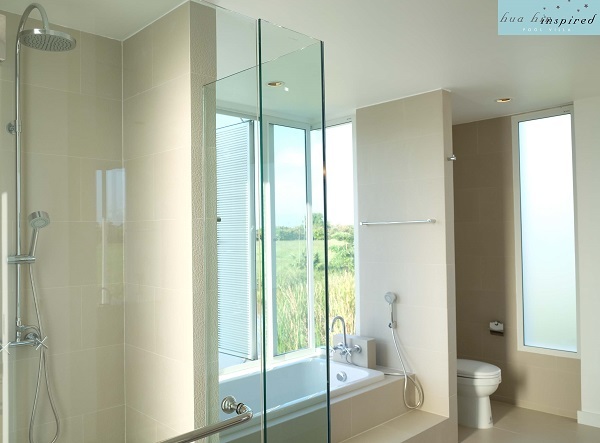 The clear, large bathroom windows bring nature inside, while the cozy reading nook in the master bedroom turn it into a serene afternoon hideaway. 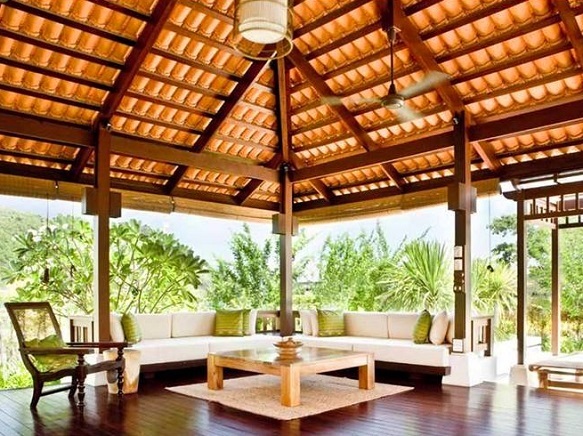 Or just spend the day in the canopy bed, centered under the vaulted ceiling for ideal soothing air flow. 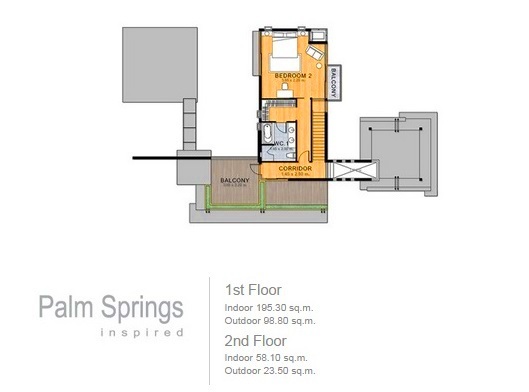 Palm Springs inspired homes are meticulously designed with proportions of height and width, soothing the eye with classic geometries while providing extra space for living. 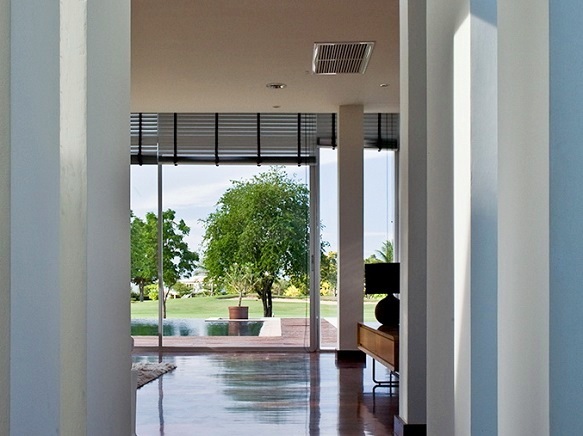 Perhaps nowhere is this extra room more appreciated than in the enormous floor-to-ceiling picture windows, strategically situated to allow in daylight but minimal direct sunlight. 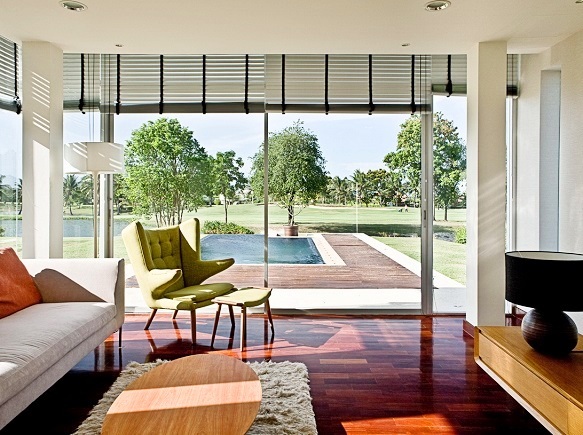 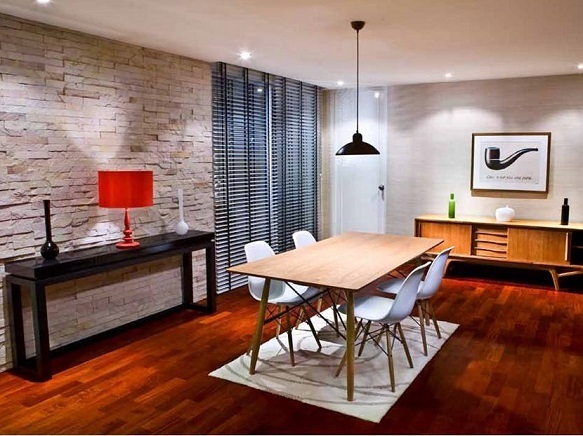 Furthermore, the sunlight that reaches is softened with laths reducing its glare by half. 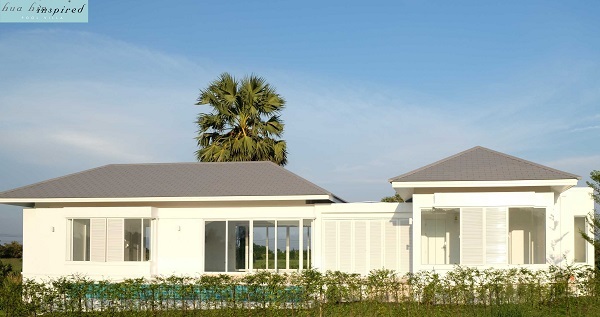 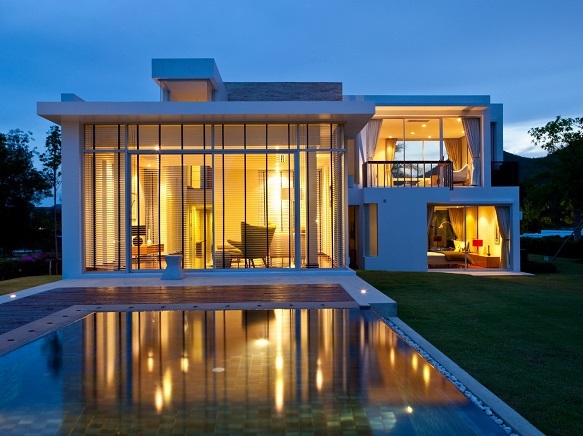 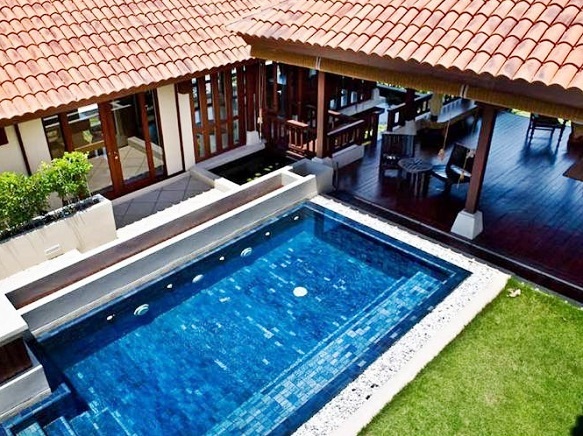 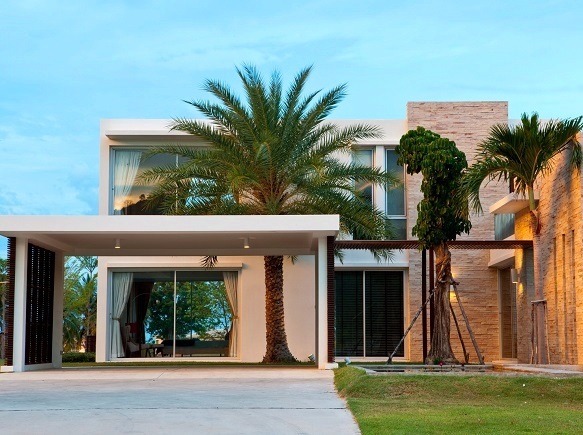 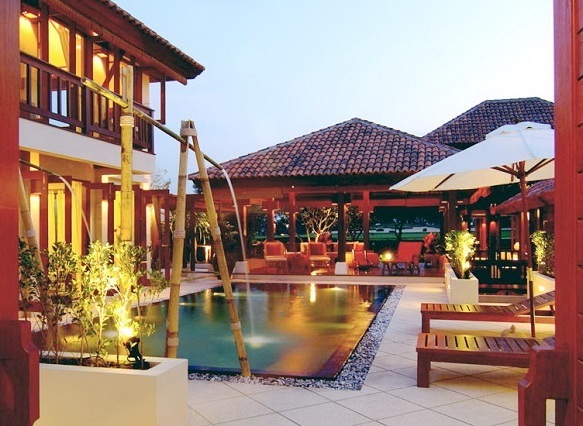 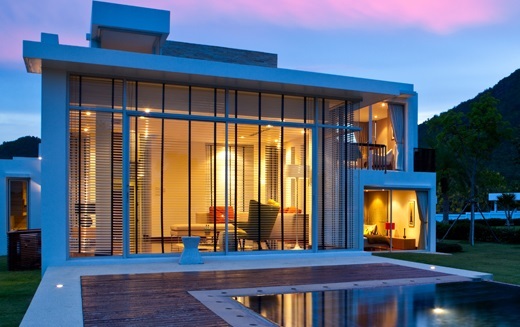 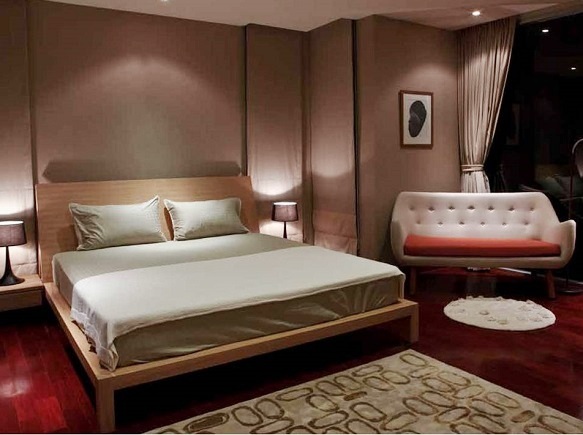 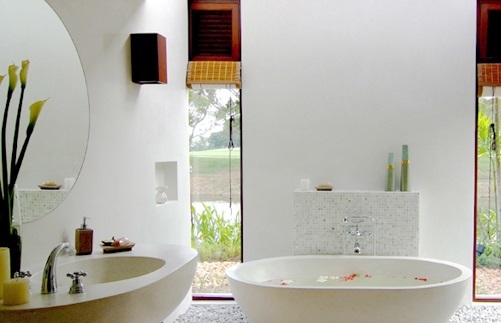 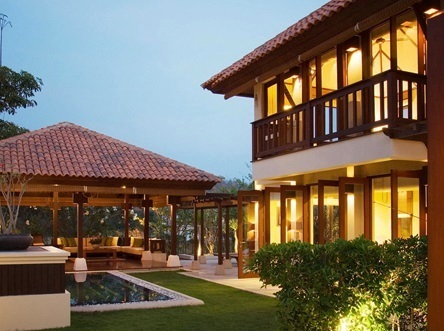 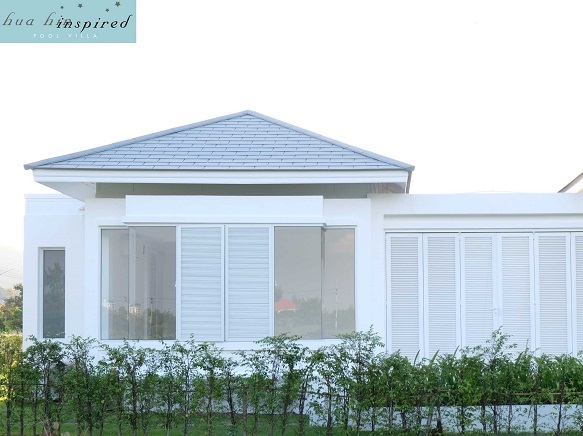 The Hua Hin Lanai is a luxury Bali-style villa which draws its inspiration from tropical island environments. 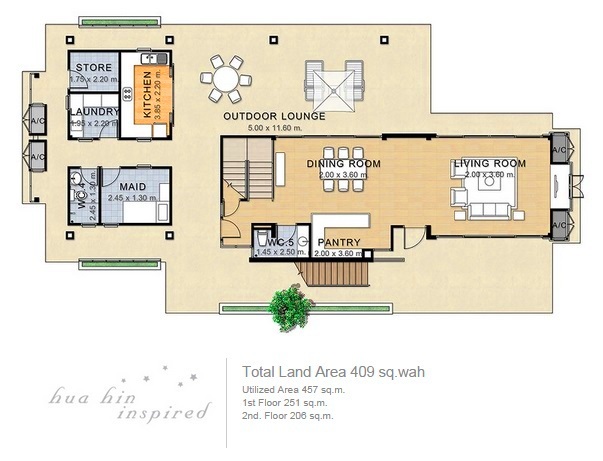 Maximizing the assets of warmth, light, and the abundance of natural plant life, the Lanai makes daily life feel more like a permanent holiday in the sun. 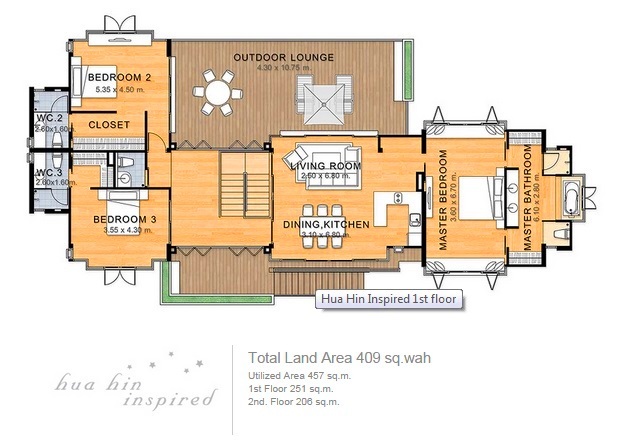 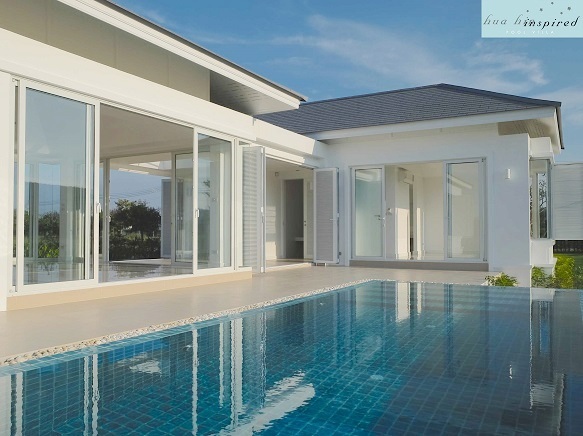 By placing each room and living area around a lotus pond and a swimming pool, the Lanai’s layout assures that you’re always close to the sight and sound of water, while its glass walls let in warm light and cool breeze. 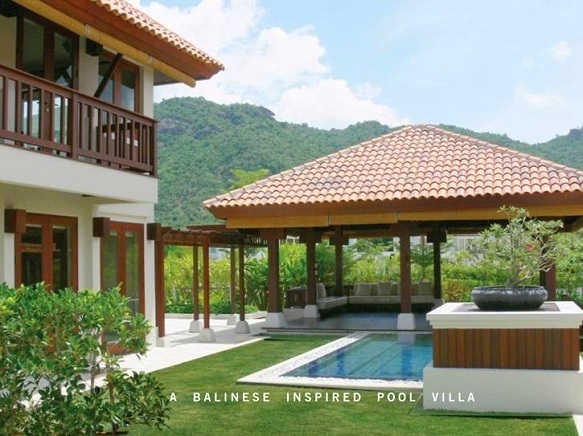 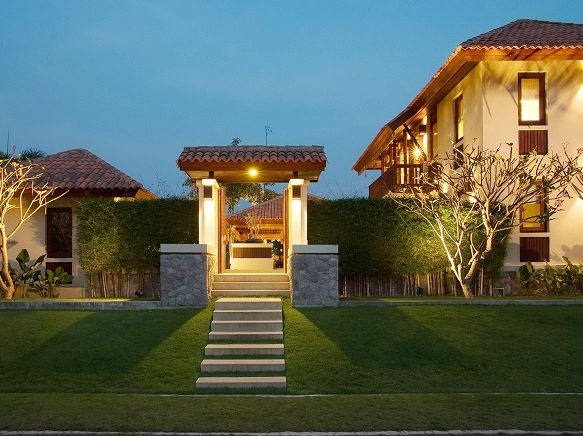 There are only five exclusive villas in the property. 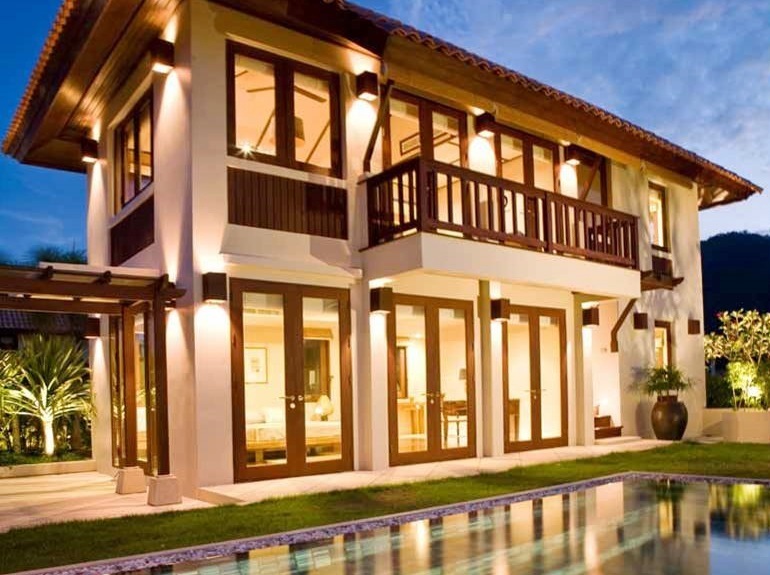 One last villa available. 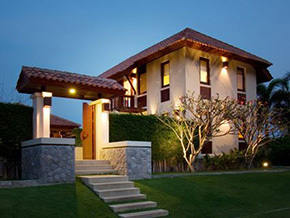 Your ownership comes with lifetime membership for the entire family at Palm Hills Golf Course and Country Club. 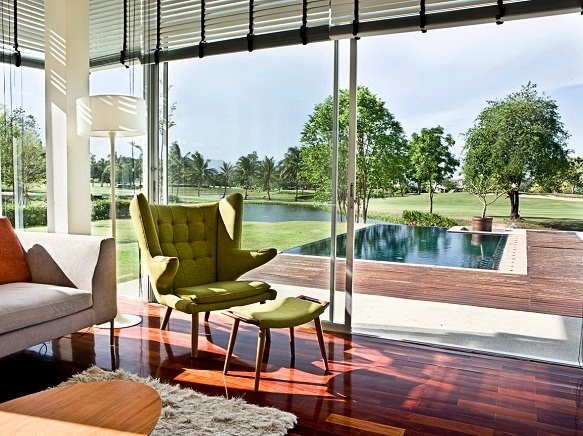 Residents are assured access to the best services and amenities including a world-class 18-hole golf course, a swimming pool, tennis courts and state of the art exercise equipment. 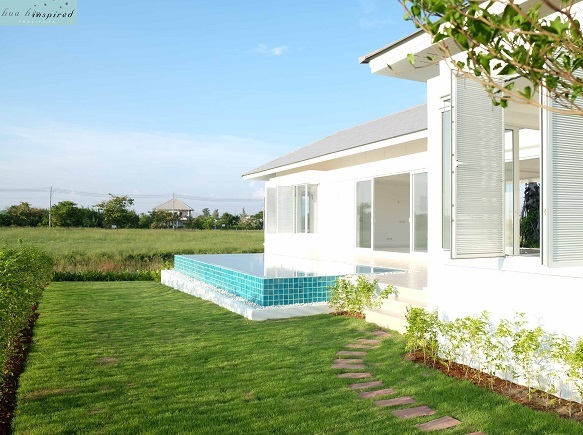 Prices starting at 9,900,000 THB for a 3 bedroom villa on Palm Crescent - 19,000,000 THB for a 2 storey, 3 bedroom Villa or a design and build service is available for someone looking to build their dream home in paradise.